Alvin Stardust (born Bernard William Jewry, 27 September 1942, Muswell Hill, London, England) is an English pop singer and stage actor. Moving to Mansfield, Nottinghamshire at a young age, he made his stage debut in pantomime at the age of four. In the early 1960s he became known as Shane Fenton, and with his backing group, The Fentones, had a handful of hits in the UK singles chart. His band based their sound on that of The Shadows. He also appeared in Billy Fury's movie, Play It Cool. Moving to Mansfield, Nottinghamshire at a young age, he made his stage debut in pantomime at the age of four. In the early 1960s he became known as Shane Fenton, and with his backing group, The Fentones, had a handful of hits in the UK singles chart. His band based their sound on that of The Shadows. He also appeared in Billy Fury's movie, Play It Cool. During the early 1970s, he became Alvin Stardust, as he tried to cash in on the Glam Rock bandwagon. His biggest hit was "My Coo-Ca-Choo" in 1973; and he had four other chart successes with the hits - "Jealous Mind", "You, You, You", "Red Dress" and "Good Love". In total, he amassed seven Top Ten entries, in a chart span lasting almost 25 years. 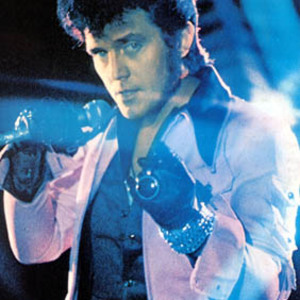 Alvin Stardust was part of the Green Cross Code road safety campaign with his famous tagline of "You must be out of your tiny minds" directing children to look both ways before they cross the road. In 1985, Stardust participated in A Song for Europe, the UK qualifying heat of the Eurovision Song Contest, with the song The Clock on the Wall. He finished in third place behind Vikki and Kerri Wells. Moving into musical theatre, Stardust starred in the UK tour of Godspell and played Uriah Heep in David Copperfield - The Musical and Sir Billy Butlin in The Butlin Story at the London Palladium. In 2005 Stardust starred as the Child Catcher in Chitty Chitty Bang Bang, also at the London Palladium.